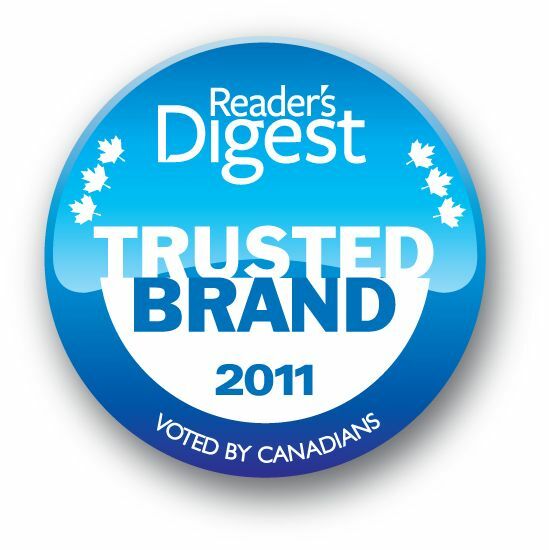 (TORONTO) - March 22, 2011 - Canadians have once again voted Toyota as one of their 2011 “Most Trusted Brands”, marking the third consecutive year that Toyota has been named Most Trusted Passenger Car Brand in the Reader’s Digest Trusted Brands awards program. In the 2011 awards, Toyota was also selected as Most Trusted Hybrid Brand. Fuel Efficiency: Toyota is the most fuel-efficient passenger car fleet in Canada, based on the most recent Transport Canada Company Average Fuel Consumption (CAFC) data and Toyota has sold more hybrid vehicles in Canada than all other manufacturers combined. Value: Toyota-built models were recognized leaders in six segments in the 2011 Canadian Black Book Retained Value Awards – more than any other manufacturer. In addition, Toyota-built vehicles placed in the top three in five other segments. More than 80 per cent of Toyotas sold in Canada in the last 20 years are still on the road today*, a strong indication of the longevity of Toyota vehicles. Trust: For the third year, Toyota has been designated Most Trusted in the Passenger Car category based on a Harris/Decima poll commissioned by Reader’s Digest, the #1 audience magazine in Canada, for its 2011 Trusted Brand Awards program; Toyota is also the first manufacturer to make all active safety elements of the Star Safety System standard on every 2011 vehicle. * Claims based on data collected by an independent automotive research company.